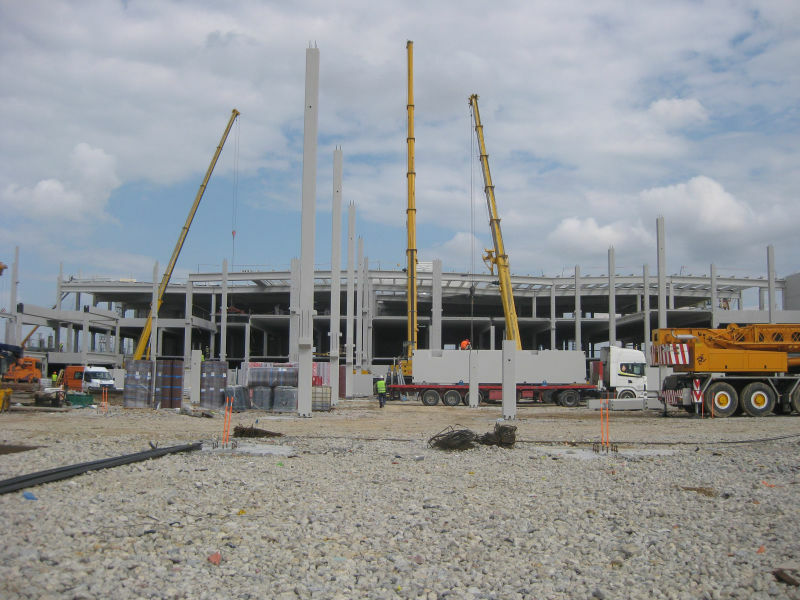 Peikko Spain has worked with precast company Tecnyconta in the construction of a new store for the Swedish furniture giant IKEA in Valladolid, Spain. All the prefabricated columns in the project were connected to each other by using Peikko’s products. Peikko was chosen as the provider of steel components for two reasons: first, because of the significant savings its products generate, and second, because its building systems are adaptable to any type of structure which on its part provides security, speed and cleanliness at the building site. The new IKEA store, which is part of a shopping mall called Río Shopping, is located in the vicinity of Valladolid, a city some 200 kilometers northwest of Madrid, Spain. The complex is built in “U” form. Its two floors will have a total size of 100,000 square meters. The IKEA store will be located in the central area of the “U” and cover 34,700 square meters. The store will be integrated into a large atrium with an innovative design that will lead to the rest of the shopping mall. The size of the mall is 41,000 square meters. It has premises to accommodate more than 100 stores. The shopping complex will also have a 25,000 square meters parking space with capacity for 4,900 vehicles. The whole investment, part of the expansion of the Swedish multinational IKEA in Spain, totals more than EUR 200 million and will create more than 1,600 jobs directly and 350 indirectly. According to IKEA’s estimates, the new commercial facilities will be visited each year about 10 million customers from northwestern Spain. IKEA plans to invest EUR 2billion in Spain over the next six years, which will create 20,000 new jobs. The Swedish furniture giant will open two stores on the average a year in Spain until 2015, and thus double its network on the Spanish market. In the project, a total of 2,000 units of different types of Peikko column shoes with their anchor bolts were used. Security as well as fast and easy assembly of the columns has been of utmost importance in the project due to strict deadlines and the large size of the building. These advantages have been very important because there were several assembly teams at the same time on site, and it was needed to place the cranes in areas of difficult access. The customer needed a system which ensures reliability, security and fast assembly of the structure, so that next finishing processes of the building could begin as soon as possible. Undoubtedly, if they had used a traditional system, the rate of assembly would have not been as good as that achieved when using the Peikko system. 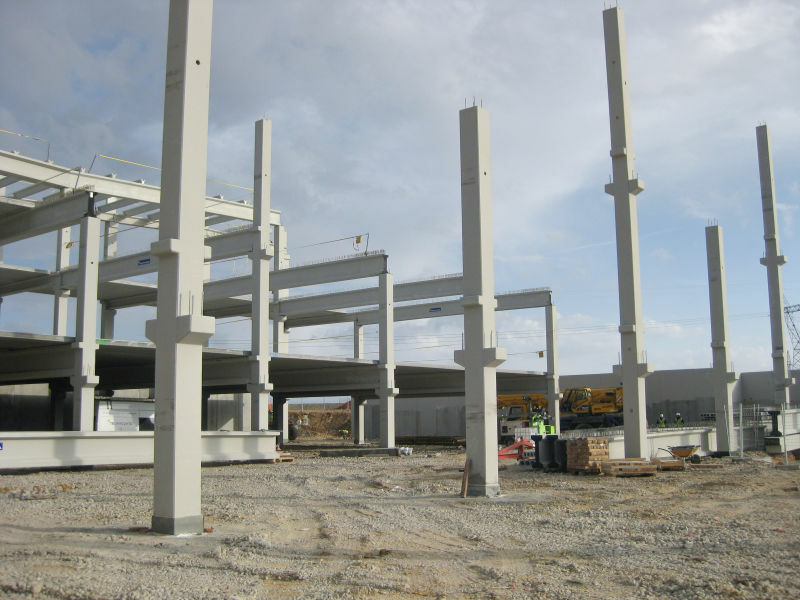 When using the Peikko short bolt type L, the heading of precast concrete piles is less than needed with other traditional methods, which saves hours of machinery and cost of workers on the site. Positioning of bolts into the pile cap is made easy thanks to the use of the installation frames recommended by Peikko. Interference between Peikko bolts and reinforcement of the foundation, which is often very heavy as in this case, is minimum compared to other traditional connection systems for precast columns. 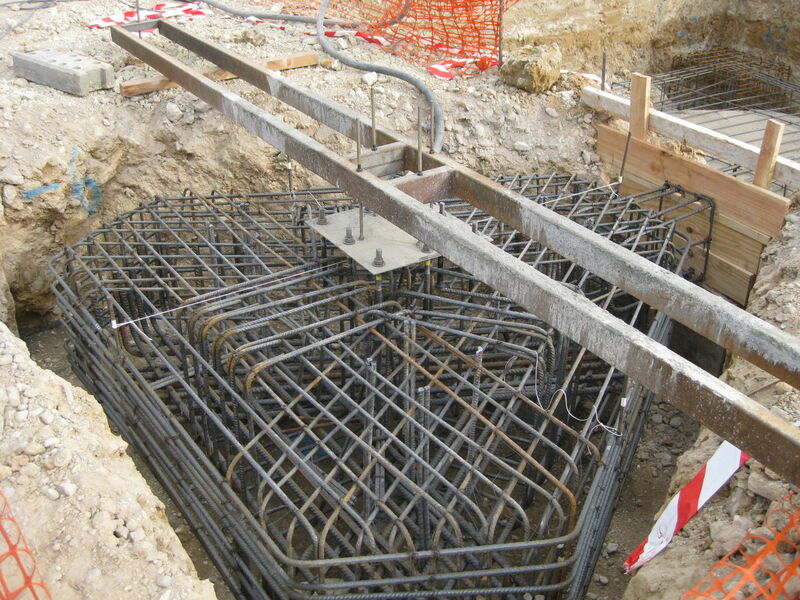 The thickness of the foundation is less than using other traditional systems. Thanks to this advantage important savings in materials (concrete, reinforcement, formwork, etc.) and time (fewer hours of excavation, concreting, auxiliary works, etc.) 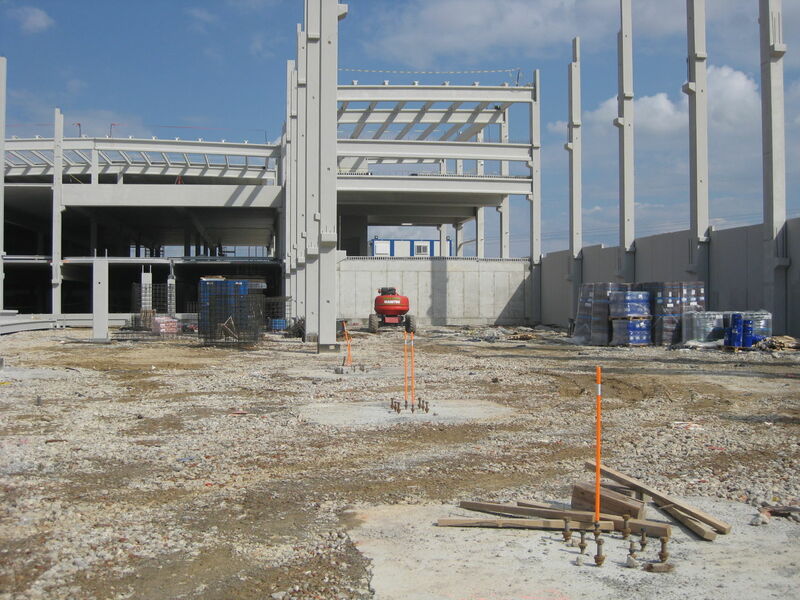 when making the foundation of the building.The bigger the building project is the more important are the cost savings described, as was the case of the new IKEA store in Valladolid. 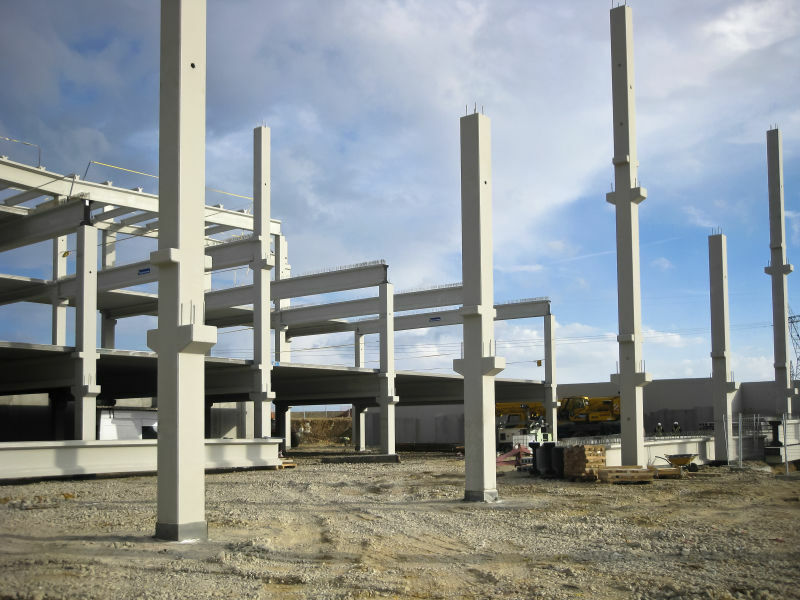 Faster assembly system of precast structures involves shorter periods of assembly and cost savings in specialized workers and cranes, compared to traditional building systems. Safer system during and after installation of the columns compared to traditional systems. This greater safety is very important in large scale projects where there are many jobs and movements at the same time in the building site. 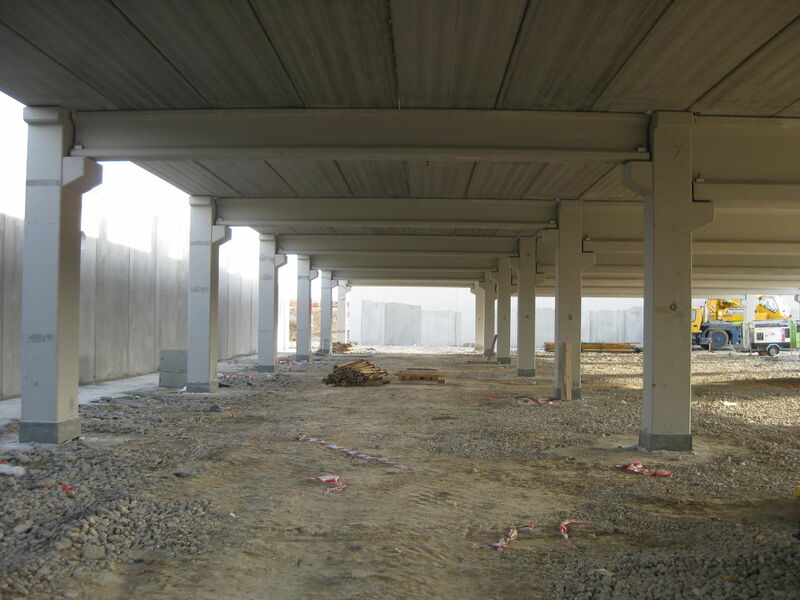 The connection of the columns using the Peikko system is rigid immediately after tightening the nuts, so it is not needed to brace the structure during the assembly of the columns or during the process of grout mortar sets. No braces are needed and free access on the site is guaranteed. The system allows quick installation of the column and easy leveling of several centimeters (-2 cm, +3 cm depending on anchors models used). Total adaptability to all types of weather conditions. The precise installation of Peikko Anchor makes it much easier for the rest of the structure to fit perfectly. This is very helpful in complex structures such as this project of IKEA. Peikko’s solution also increases work safety. It reduces the risk of accidents where columns fall when bracing fails, which we experienced in our other projects earlier. We trust Peikko’s bolt connections because of their reliability and simplicity.